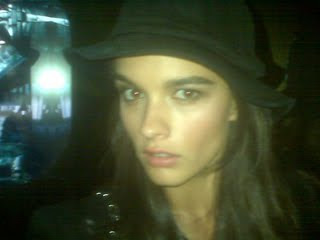 I'm in love with Crystal Renn. Not only is she stunning in person, but she has a great personality. I think she should just bypass modeling altogether and go straight to actress. She's amazing. I thought Crystal Renn was a size 16?